This entire thing looks incredibly cool, creative, and fun. The launch video, software, and "Toy-Cons" themselves are packed with delightful little details and Nintendo's classic polish. Making these "Toy-Cons" out of cardboard is a welcome change from the one-off plastic doodads of the Wii era. Eventually kids will move on from these toys, at which point they can be easily recycled. Hopefully the Toy-Cons will eventually be purchasable separately. $70 for the 5-project Variety Pack seems a little pricey, but so are most Switch-related things right now. I imagine there will be a price drop later this year. I love that the "Discover" phase of each project demonstrates how the toy works; potentially getting kids to think more about digital technologies and inventing toys of their own. It looks like Shigeru Miyamoto's Project Giant Robot has found a home. If you're a Mac user who frequently listens to music you may have noticed that High Sierra changed the behavior of the media keys to control the last-viewed piece of media instead of iTunes/Spotify. Milan Toth has created a little utility called High Sierra Media Key Enabler that restores the previous behavior, ensuring that the play/pause button always controls your music player of choice. Add it as a login item to make it start automatically, and consider using Bartender or Vanilla if you'd prefer to hide its icon from your menu bar. This is great. Hundreds of millions of people have some form of color blindness (primarily red/green) around the world, so this makes a lot of sense. At first I thought the triangular symbols for red and blue were too similar, but the ColorADD standard's logo (and Code page) demonstrates how they can be additively combined to create the symbol for the complementary color purple. Clever, and better than no symbol at all. 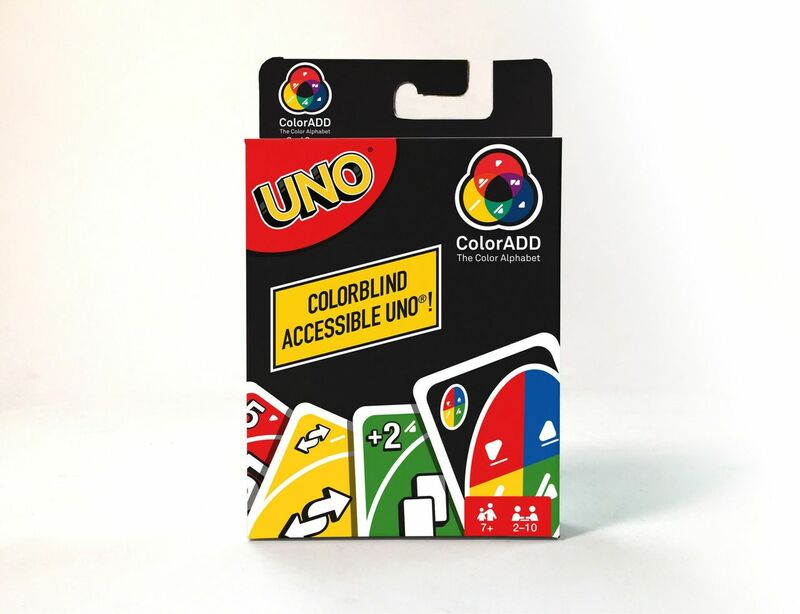 For now, the color-blind-cognizant version of Uno is only available on Uno’s website. It’s being treated as something of an experiment–Mattel doesn’t know what level of demand to expect. 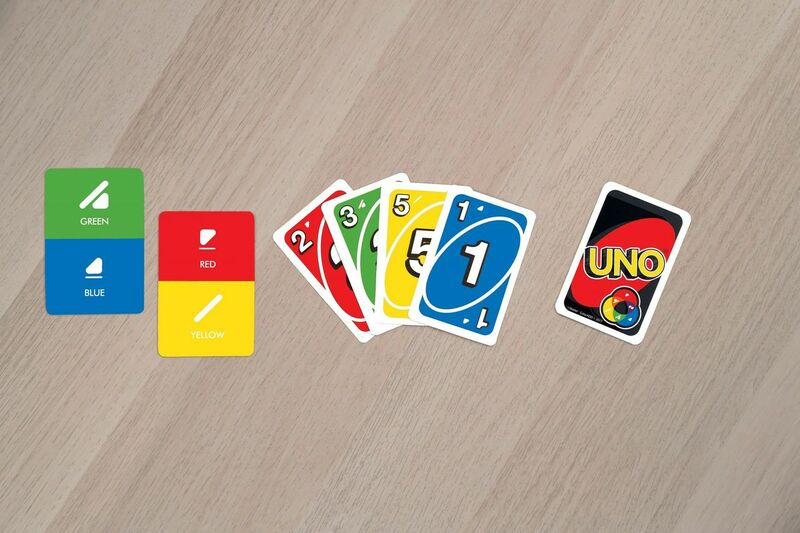 But if truly inclusive design is the goal, there’s no reason that the ColorADD version of Uno couldn’t just become the main version of Uno. Take the distracting ColorADD logo off the back of each card, mention color blindness on the regular packaging, possibly de-emphasize or remove the symbols from the central oval of the Wild card (it's already visually distinct), run a bunch of usability tests, and I imagine this would be ready to become the new normal deck without taking anything away from the experience of non-color-blind users. Unfortunate, but expected. Picture-in-Picture (PiP) mode and background audio are two of YouTube Red's most convenient features on mobile, so it's unsurprising to see YouTube snuff out any third party apps that do the same without the subscription. What I'll miss most is ProTube's implementation of video playback speed. The new YouTube app (finally) includes it, but requires 3 taps to activate and has to be manually turned on every time a new video loads. Even worse is that the audio becomes unpleasantly tinny, similar to the way sped-up YouTube videos sound when watched in Safari versus Chrome on macOS. My guess is that it's an OS-level HTML5 video playback issue that Google will hopefully encourage Apple to fix. There is a way around this, but it’s also unintuitive, and I often forget about it until my crop is ruined and I have to start over again. Instead of dragging the crop handles at the corners of the image, touch and drag from the middle of an edge. For God knows what reason, cropping this way doesn’t change the position of the other crop handles. I say this is unintuitive because the handles at the corners look like the things you should be grabbing and moving. There are no visual clues that dragging from the middle of an edge is allowed. I should have added this to my iOS 11 wish list. The crop mode in the new quick-access UI that appears after you take a screenshot includes little indicators along the edges, but the UI within the Photos app still doesn't make that affordance clear. Dave Mark of The Loop noticed a nice Siri voice comparison table at the very bottom of this post on Apple's Machine Learning Journal. The voice in iOS 11 sounds cleaner and less robotic to my ears, and the reduced bass might make it stand out more in a car. Definitely the biggest change since its launch. Nicky Case's interactive explanation of game theory and restoring trust is excellent from top to bottom. Seriously impressive on both technical and communicative levels. The takeaway is clear; restoring trust requires each of us to create and encourage the conditions necessary to sustain it. Build lasting relationships. Find win-win outcomes. Communicate clearly and honestly. Amplify signals and ignore the noise. Do whatever you can to support the conditions necessary for trust to evolve and spread. That's how the game is won. A comprehensive yet tightly-condensed piece by Benedict Evans that considers the potential societal and industrial effects of autonomous vehicles. A ton of ideas in here; car repair costs, electricity demand, insurance, bike safety, traffic and parking, road capacity, gas stations, buses, cities, car design, how it feels to commute, always-on movable cameras, and much more. This is now my go-to link to summarize the potential impact that autonomous vehicles will have on our world. Roughly 5 of the things I wanted came true last year. Let's see how this year goes. [X] New (big) iPad Pro 12.9" replacement, because my grandma would like a larger screen and the current 12.9" is almost 2 years old. If you try to activate cursor dragging twice in quick succession it'll often fail and not provide feedback to your finger, which feels really terrible. Force touch should always be immediate and provide that feedback. Permanently dark keyboard. This was an option in iOS 7.1 beta 1. 3D touchable Wi-Fi and Bluetooth connections would be nice. I'm not totally sure I need/want configurable apps on the bottom, but I can see the reasons why people would want a different calculator or timer app. Google is starting to do this with their Assistant app. Maybe integrating Siri's capabilities with the Spotlight text search would make sense. If I could type in a calendar event in there and it worked just like Fantastical's natural language processing, that would be great. I've helped family members with this many times, and apps often get stuck trying to rehydrate from iCloud and just stand still. Turning Airplane mode on and off again is seemingly the best way to nudge the restore along, which shouldn't be necessary. This has improved somewhat, but not being able to search in Safari for a few seconds while the clipboard synced was often frustrating. Thanks to CallKit, third party apps can help auto-block spam calls either for "free" or a few dollars per month. I'd be happier to use an Apple-provided blacklist than trust third parties. It's sort of like paying for modern-day antivirus software. Samsung's in-traffic reply app is a decent start, but Apple could do it better (hopefully without requiring the device to be connected to a CarKit system). YouTube implemented this recently using a double tap gesture on either side of the screen, but I often forget about it. Given how unnecessary the media forward/back controls are in most contexts, replacing their buttons with these controls could make sense. Disabling rotation lock every time I want to watch a longish video is a pain, which is why I really appreciate apps (like YouTube) that use their own custom video players to do this automatically. There must be a way to do it while preserving user privacy. Right now my iPhone has the most matched photos, and I have no desire to go through the process again on other devices. Remove GPS, change date taken (which comes in handy if someone sends you a photo with incorrect data), and add notes/comments. You can save photos but not videos? What? Particularly when taking photos of things on the ground (like "scanning" papers), the device's gyroscope often gets screwy and orients photos incorrectly. Visual processing would likely be able to help decide which way an image's true orientation should be. Google has already started to address this problem. Apple should too. [ ] Multiple tab stacks, or "spaces"
Something like Edge's ability to set all tabs aside would be great. This would allow the user to quickly switch contexts between "researching for a school paper" and "learning how to code", for example, without having to meticulously maintain the order of their tabs to keep things together. Basically windows, but not windows. This button is nearly useless today now that most sites are "responsive" to the device's screen resolution. If the screen resolution could be changed virtually to something like 1920px wide, desktop views would appear more reliably. Even if they're not automatically applied at checkout, being able to store the barcode for these within the Wallet app would be nice. Right now wonky third party apps are necessary to do this. [?] Ability to open/import audio files from other apps. It's currently not possible without using iTunes. [ ] Group video/audio conference calls, which was briefly in an iOS 8 beta. [ ] Screen sharing, similar to Screen View in iOS 9.3. Tech support would be way easier. Maybe not a "mode", but something similar to what Google showed off at I/O, where it just "knows" that you're trying to open a link. Opening printed out URLs would be cool too. [?] Sometimes when watching videos, the time at the top of the screen becomes doubled-up. [?] 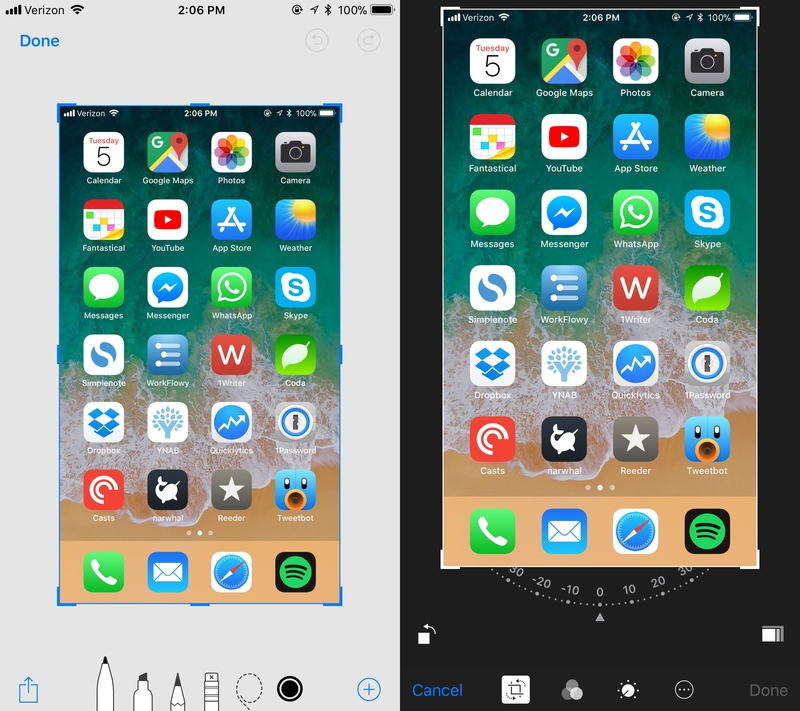 Occasionally, even with orientation lock turned on, the display will rotate into landscape mode and stay there until manually fixed. Added section for App Store wishes. Added annotations in front of each item. The new pen's 21 milliseconds of pen lag is better than the Apple Pencil's 38 milliseconds if that number holds up to real-world testing. I believe that when Apple announced the Pencil they explicitly noted that the iPad's variable screen refresh rate allowed for the Pencil to feel smooth. 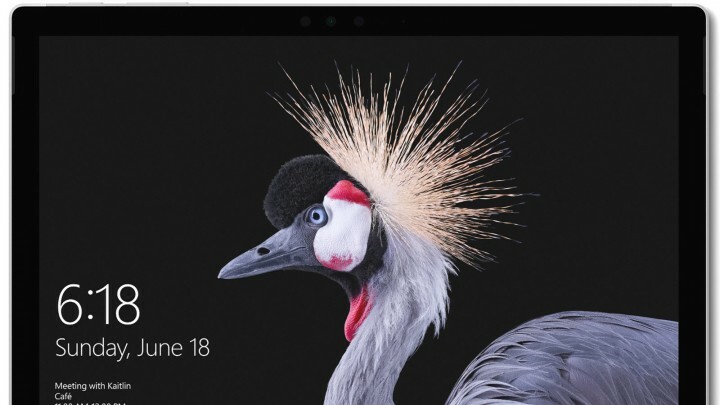 Without any mention of variable refresh rates at Microsoft's event, my skeptical assumption is that strokes are processed at 21ms, but are rendered on-screen at a lower rate, making the Apple Pencil still feel & look faster even though the Surface renders each stroke more accurately in the end. I imagine Apple won't let even this little technicality stay true for long. The Whiteboard app looks great. I can imagine using that to discuss user interface ideas and augment remote conference calls with team members. 13.5 hours of video playback (with no auto-brightness) isn't a useful number. I'd be very pleasantly surprised to see it get a solid 7 hours of realistic casual usage (the Pro 4 gets ~4-5). I visited the Microsoft Store a few days ago to see it in-person. Unfortunately they didn't have the new pen (according to the store rep they might come in on June 15th in time for launch, but June 30th is when they expect them to arrive, which is weird). The slightly more rounded corners weren't noticeable. The fanless i5 model felt just as performant as the Pro 4 while browsing and opening up a bunch of apps. I didn't push it to the point of getting warm. I didn't think to try an old pen on the new device (I would've had to steal one from elsewhere), but I don't expect them to feel faster than they do on the Pro 4. Marketing side note: I'm not at all impressed with the images on the preorder and product overview pages. Why on earth would someone on their marketing team use the same weird-looking bird not just once, but 12 times on those pages? Heck, every single image in the product carousel of the preorder page has the same dumb bird on it. Why? How? Mmmm, yeah, I need me some of that. Another marketing side note (can't help myself): shots of pen lag and screen jitter aside, the video for the new pen feels like it's trying too hard. Why is there sad piano music backing up this dialogue? Am I supposed to get emotional? I've always been kind of a tactile person. Stuff that I could hold and feel and interact with. I want to be able to use my hands the way they were built to be used. Growing up I learned how to express myself through writing. My thoughts, my feelings, became naturally linked to the motion of having a pen in my hand. The ability to convey thought and expression is so important. It's thoughts, turning into words, flowing seamlessly through my hand. As a creative person it's elevated us to be able to do things we couldn't before. I've been using a budgeting app called YNAB (You Need A Budget) for a few years now. It was originally a desktop app with a barebones mobile client for adding purchases on the go, synchronized via Dropbox, and it worked pretty well. Their site is beginner-friendly and approachable, which I appreciated as a young college student figuring out how to keep track of my finances. I used that native app combo until 5 weeks ago when I decided to move over to YNAB's relatively new web-based client and pay them a subscription fee. People found a lot to hate about their move to a SaaS (software as a service) business model rather than a one-time purchase, but I'm not mad about that. If I were a small team trying to juggle multiple codebases across multiple platforms, I would see the appeal in switching over to using web technologies and changing to a long-term business model instead. Paying them continuously will also, on paper, help them improve the app more quickly and confidently than they'd be able to otherwise, which I'm happy to support. All that said, I was pretty disappointed to find myself completely unable to do my weekly checkup and re-balancing at basically any time today because of a large technical failure that brought the entire app down from roughly 10am to 7pm. Side note: why doesn't status.io convert the UTC timestamp to the viewer's regional time? Before I go further, I should say that I'm not super angry and writing about YNAB's bad day out of spite - the webapp is still barely a year old, technical issues happen even with native apps, and the engineers at YNAB definitely had a far worse start to their weekend than I did. I can't blame some people on Twitter, however, for being less understanding. The thing that annoyed me more than the outage itself, and the reason I'm writing this up as a sort of real-world case study, is the cutesy error message that replaced the app while it was down. 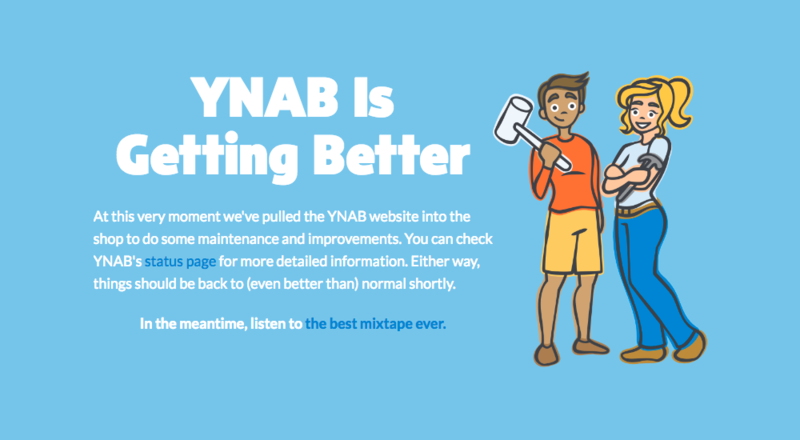 At this very moment we've pulled the YNAB website into the shop to do some maintenance and improvements. You can check YNAB's status page for more detailed information. Either way, things should be back to (even better than) normal shortly. In the meantime, listen to the best mixtape ever. Some users like Kelly in the tweets above seem to like the mixtape (I'll admit, I smirked too) and don't mind the app being down. 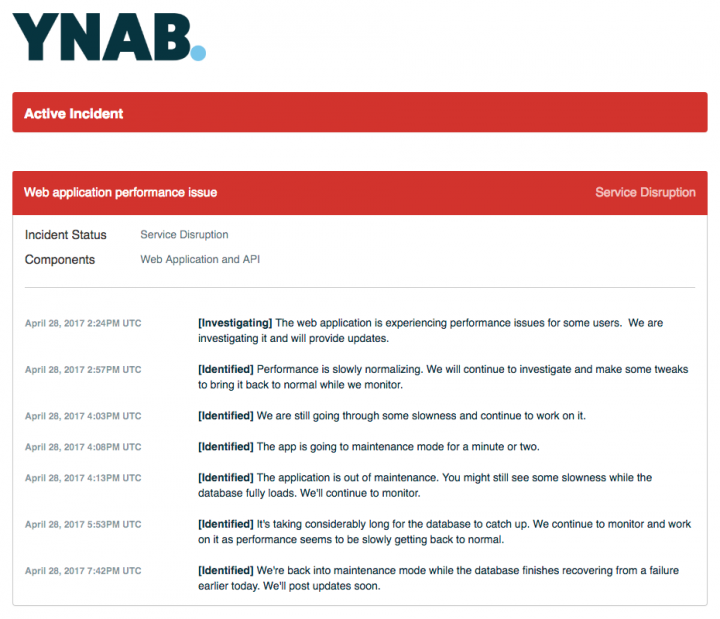 I imagine the majority of YNAB's (probably younger) customers are okay with it too, or maybe just haven't noticed how long the outage has been going on for. But if I were a small business owner trying to reconcile some important accounts or an employee trying to budget my latest paycheck (on the final Friday of the month) before kicking off a nice weekend with my family, I would probably see the cheekiness of this error message and take it as a cue to investigate my export options. Unless your app or service is mostly for entertainment or inconsequential to a person's 9-5 productivity, overly-cutesy error messages should be reconsidered, even if they're "on brand" like YNAB's is. I give them credit for linking to their status page, but the text makes it sound like a good thing that their site is down. If they were updating the site at 4am EST with some new features or actual improvements then sure, this message could be appropriate. A message hinting that everything's dandy and some routine maintenance is going on that'll be over "shortly" feels a bit dishonest, especially after the first few hours. Of course, Occam's razor says that this is just the default error message that's applied any time the site goes down, and that it's intentionally written to cover multiple scenarios (with a positive spin). I'm guilty of doing the same thing, because spending time on error page logic never feels worth doing until a failure occurs, at which point it becomes even less of a priority and gets forgotten until the next time something happens. YNAB is hardly alone in this regard, but YNAB's page feels particularly sugary sweet in today's context. If your product or service is related to finances or anything else important, double check the tone and honesty of your error message(s), provide useful links or resources to help the user if possible, and reconsider trying to dissolve tension with sweets. Tell the social media person to disable their scheduled tweets (ha), or better yet, provide status updates/links to people venting frustration. If you're a developer working on web-based apps, look into Progressive Web Apps. Google's Chrome team just uploaded a good introductory video series. 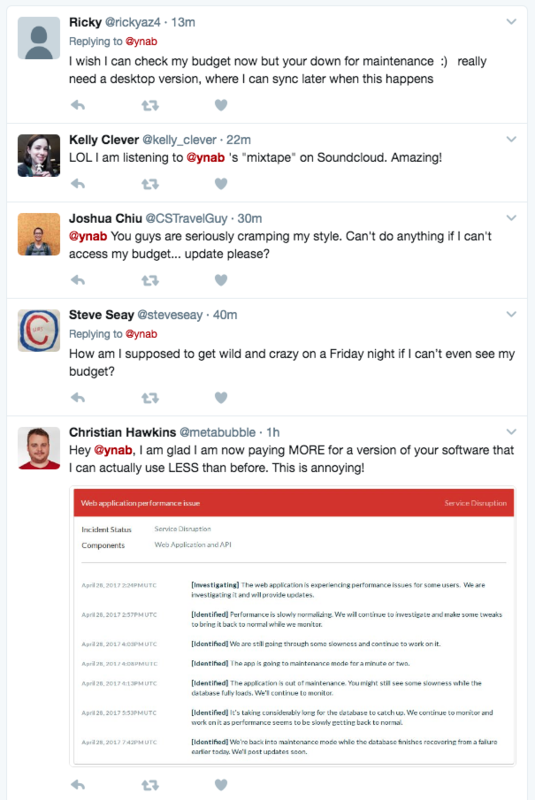 I haven't built one yet, but functional offline web apps seem like the solution to a problem like this one, and I suspect YNAB's team is looking into them too. Cool stuff. Normally our maintenance is brief and planned. However, in this case, our “maintenance” message made it look like we were purposefully taking the application down on the last Friday of the month. It caused understandable confusion: “Why are they working on things on a Friday afternoon??”. I’m sorry about that! We later changed the message to say that we were having trouble. I haven't seen the new one, but good. Sounds like more local processing & web app stuff is in the works, which is good. Before the Switch officially launches in just a few hours, I'd like to write down a few thoughts, which I've neglected to do (and later regretted) probably 3 or 4 times now. The news, reviews and discussion from the gaming media in recent months make it seem like 1, 2, and 3 are well on their way to holding true. 1 is easy and is already hinted at in the Switch's settings. 2 and 3 we're already seeing the results of, and Nvidia's chip seems to be making it super easy for PC indies to bring their games over, particularly if they developed their games using Unreal Engine or Unity. 4, however, is always a coin toss, and yesterday's surprise resurrection of Friend Codes has the gamer crowd a bit worried. Nintendo still hasn't detailed exactly how the Switch's online services and account stuff will work and apparently didn't tell reviewers much of anything new on that front either. That's worrying, but who knows, the tick-tock of Nintendo's pendulum seems to be swinging in the right direction overall. Second, despite Nintendo's advertising focusing on teenage and young adult gamers, whenever Minecraft hits I think kids are absolutely going to love the thing and buy it in droves, particularly if it has Netflix and other entertainment apps that kids using iPads often use. The iPad (particularly the mini) could start to hurt even more by the end of the year if Nintendo has its way. Speaking of Apple, I can't help but wonder about what discussions are already beginning to happen behind closed doors. Apple rolled out the reddest, velvetiest carpet Nintendo could have asked for when they decided to make Super Mario Run (spot at the keynote, Apple Store demos, podcast, iOS exclusive at launch, App Store feature and never-before-seen notification system, etc.) and despite the decent sales I can't help but feel like Nintendo is at least somewhat disappointed by Mario Run's long-term revenue. Fire Emblem seems like it'll fare a bit better, and Pokémon GO was a big cash cow, but it's clear that Nintendo doesn't feel like bringing "full" games to iOS. Does Apple actually understand that Super Mario Run is a Mario game in name and character only? Game Center and their weird policies around the Apple TV's remote indicate that they still don't really get it, but I suspect they'll start to get the picture if the Switch starts eating into their iPad sales. At that point discussions could either go very well - a Joy-Con adapter for iPads, Bluetooth compatibility with iOS, and maybe a partnership for bigger games in exchange for product hardware insight (Nintendo has been better at keeping secrets than Apple recently) - or really poorly - Apple making their own controller, Nintendo letting their iOS strategy lapse, and Apple courting indies and major publishers with big contracts. I'm just spitballing here. The most likely outcome is Nintendo finds a niche and both Apple and Nintendo succeed along their own courses. Maybe Apple's courtship of Nintendo was just a mutually beneficial (and well-timed) marketing fling. Third, I think the multiplayer and portability aspects of the Switch are just incredibly cool and smart. The last time a Nintendo console was multiplayer-ready out of the box was the SNES released in 1990, and being able to play console-level games anywhere (even for a few hours) is something I think today's iPad generation will really appreciate. 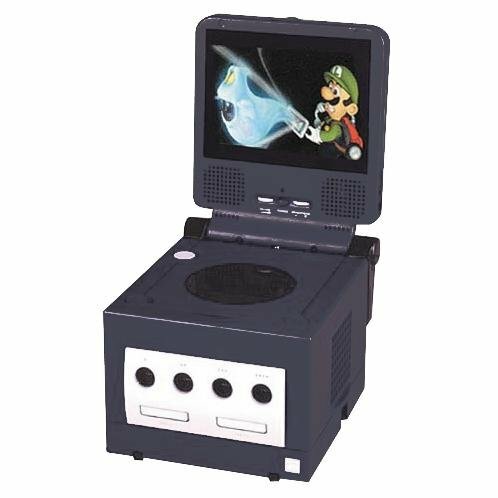 In the 2000's my brother and I had a small screen we could attach to our GameCube, allowing us to play more easily while at our grandma's house or even in the RV we had at the time. We had handheld consoles and Pokémon too, but at the time nothing could beat the fun we would have playing multiplayer Super Smash Bros Melee and Mario Kart: Double Dash together. With the Switch, that same freedom doesn't even require a power cord anymore. That said, the portability of the Switch comes with a catch; I think the dock severely needs a price cut. If I were to frequently bring the Switch over to a friend's house for a game night or whatever, I would much rather just bring along an extra $30-$40 dock than unplug the one connected to my TV every time. That capability shouldn't be a $90 luxury. Maybe a cheaper, more portable dock with less material will eventually be available? The price just doesn't make sense for what it appears to be. Fourth, I think combining Nintendo's two consoles (portable DS and stationary console) into one device was also extremely smart, and I think/hope we'll feel the result of that decision over the next two years with a release cadence we've never seen from Nintendo before. Not having to create two versions of a game saves a ton of development effort and allows Nintendo and other developers to save a lot of time and money that they can spend on other games. If the enthusiasm around the Switch continues, I think it could have one of the best and most diverse (and fun) game libraries of any home console. A related fifth, I seriously hope the Virtual Console is one of the things Nintendo can now speed up. Nintendo has a treasure trove of great, nostalgic classics that the audience it's marketing toward would love to play this holiday. Trickling out one or two (usually dud) games a week like they did with the Wii isn't enough. If there ever were to be a time to put everything into one basket, including GameCube classics, the Switch would be it. Sixth, as much as I'm hyped at the moment, I know that disappointment is inevitable. Zelda's frame rate dropping doesn't bode well for the last-gen Nvidia chip it's carrying, and I can't help but wonder how things will fare if major developers shun Nintendo's console again because it can't handle the intensive games they're developing for the Xbox/PS4 and eventually the next Xbox and PlayStation in a couple of years. Maybe Nvidia's architecture and Nintendo's dev tools will make optimization easy enough to the point where doing so becomes standard this generation, or maybe Nintendo plans on upgrading Nvidia's chip before the new consoles launch (which they did with the 3DS) to keep it closer in performance. Like many other gamers, my worries extend to the Virtual Console, Nintendo's online service, and their software decisions as well. I'm also concerned by Nintendo's decision to pre-announce DLC for Breath of the Wild, which felt a bit tone deaf to gamers who've long been wary of developers intentionally holding back content. More unfortunate things and gaffes are likely to surface in the next month or two as the Switch's launch hype levels out. 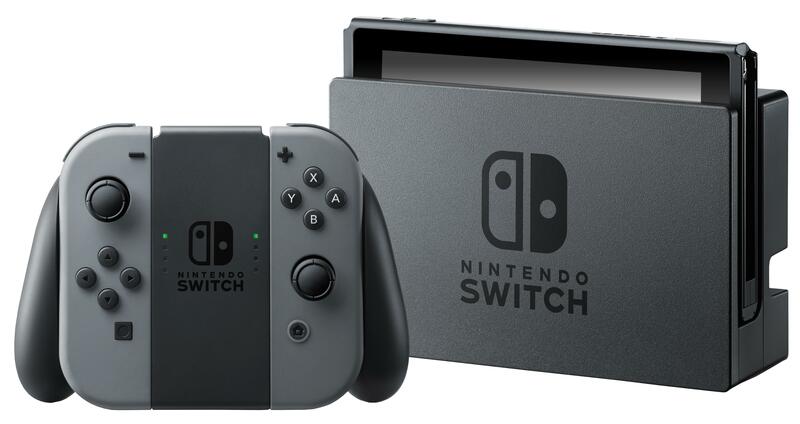 Seventh, going back to Apple, what happens when the Switch is 4 years old, its Nvidia graphics have been completely outclassed by the A12 chip (and the next Xbox/PlayStation) , and people are clamoring for the Switch's games to be ported over to better-looking and more capable tablets running iOS and Android? Nintendo could find itself stuck trying to convince people to buy an anemic tablet-y thing simply because it provides access to their extensive game library. The decision to converge both the mobile and console form factors into one familiar tablet design seems smart right now, but I think it'll also make comparisons way more stark as the years go on. So there are a few barely-edited thoughts written on an iPhone in one sitting. In a few hours I'll have an even better idea of where this is all heading, but for now I'm just excited to play what's shaping up to be the best Zelda game ever. Presumably this would include FaceTime Audio as well, which would finally bring it to feature parity with cellular calling. If this rumor is true and a team within Apple has been giving FaceTime some attention, I can imagine them going further than just adding group calling. Maybe bringing Screen View over from the Classroom app that rolled out with iOS 9.3? That implementation worked over a local Wi-Fi Direct connection, but iOS 9 also included ReplayKit for local screen recording, and iOS 10 expanded on that with ReplayKit Live for streaming games to services like Mobcrush. Share your screen with AppleCare? If you tap Accept, AppleCare will be able to see everything on your screen during this support session. I wasn't there to see the session take place, but the status bar turned a different color (can't remember which) and the specialist was able to see everything my Dad tapped on until he terminated the session. This capability is barely discussed online, except for a brief mention of it on Apple's support site back in late 2013. Something like this would make troubleshooting the devices of long-distance family members way easier than aiming a second iOS device at the screen, and could probably be pitched as a productivity/collaboration feature in this Fall's iPad-oriented iOS update. In my many years of reading stuff online, I've always found "What I Use", "What's in your bag? ", and workspace/battlestation posts particularly interesting, and although I've never written one myself, I also like the idea of a once-a-year Christmas letter with a brief update on how life has been going and some photos of important moments. So consider this to be the start of something new. Roughly once a year, I plan to chronicle a bit of what's been going on in my life, the devices and software I'm using, what I'm reading, what I'm listening to, and whatever else I'd like to share that particular year. By doing this I hope to create a sort of ongoing chronicle of my life and the things that I find interesting that could be cool to look back on someday. 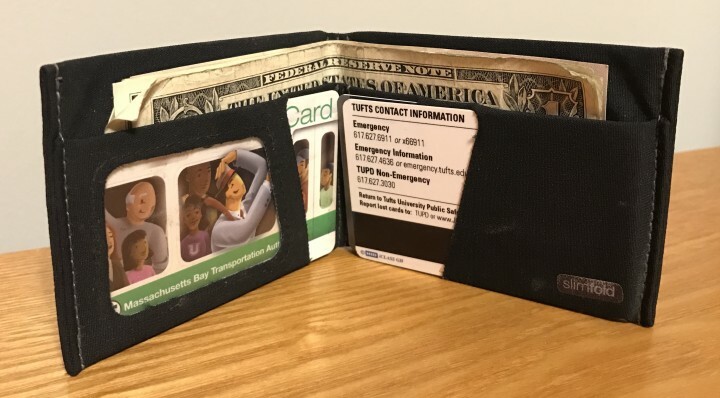 Roughly three years ago I replaced my deteriorating leather wallet with a MICRO Tyvek wallet. As much as I enjoyed how thin and light it was, Tyvek wasn't rugged enough to last more than a year and a half or so. Over time the sharp edges of my cards began to wear down the bottom corners of the wallet, and eventually they would just slide right out. In February I got an email that mentioned slimfold's new Soft Shell material that uses a jacket-like fabric for greater durability at the cost of some thinness. $45 seemed a bit high, but I liked the size and layout of the MICRO and didn't feel like researching again, so I went for it. Almost a year in, it's holding up very well. The only part that looks worn is the embedded slimfold logo - the stitching and fabric looks great and the fabric in particular shows no signs of wear or impending breakage. Many of my old socks have been getting holes lately, so I've been searching for better replacements. The folks at the buyitforlife subreddit had positive things to say about Darn Tough and their warranty, so I've been trying them out. I got two pairs of their Vertex 1/4 Ultra Light socks back in August, and earlier this month I got two pairs of the slightly more padded Vertex 1/4 Ultra Light Cushion socks. So far they've been holding up very well, but I'll need to continue testing to see just how long they last. 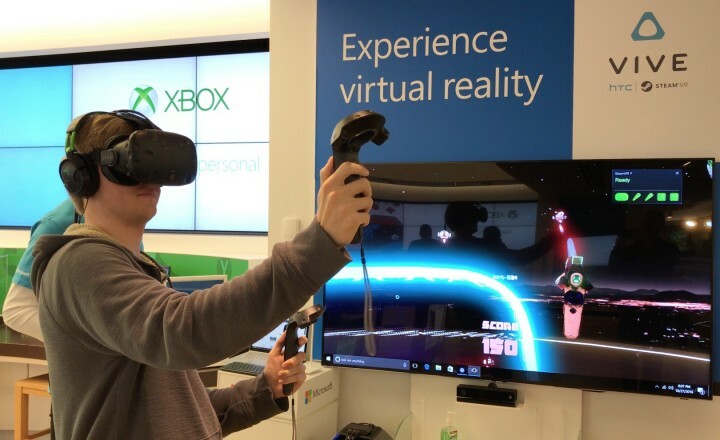 Shortly before the Microsoft employee was ready for me to put on the headset, I went through my mental checklist of things to analyze and remember later; field of view, responsiveness, controller latency, and so on. When I put on the goggles, however, I completely forgot to think about all of that. Instead, I had a really fun few minutes playing Space Pirate Trainer, and only remembered I was flailing my arms around in a Microsoft Store between levels. I honestly don't know how adequate the field of view was, because I completely forgot to check once I got inside. Although VR isn't making as many headlines nowadays as it was before the Vive and Rift launched, I'm still pretty gung-ho about its future. I started doing this more so in 2015 when YouTube dumped Flash for HTML5 by default, but the ability to easily watch videos in 1.5x or 2x speed has been one of my most-used things in recent years. Hour long lectures become half an hour, fifteen minute mini-documentaries become watchable over a bowl of cereal, and short informational videos become bite-sized things that can be watched on a whim. This was also the year that Overcast came out with Smart Speed. 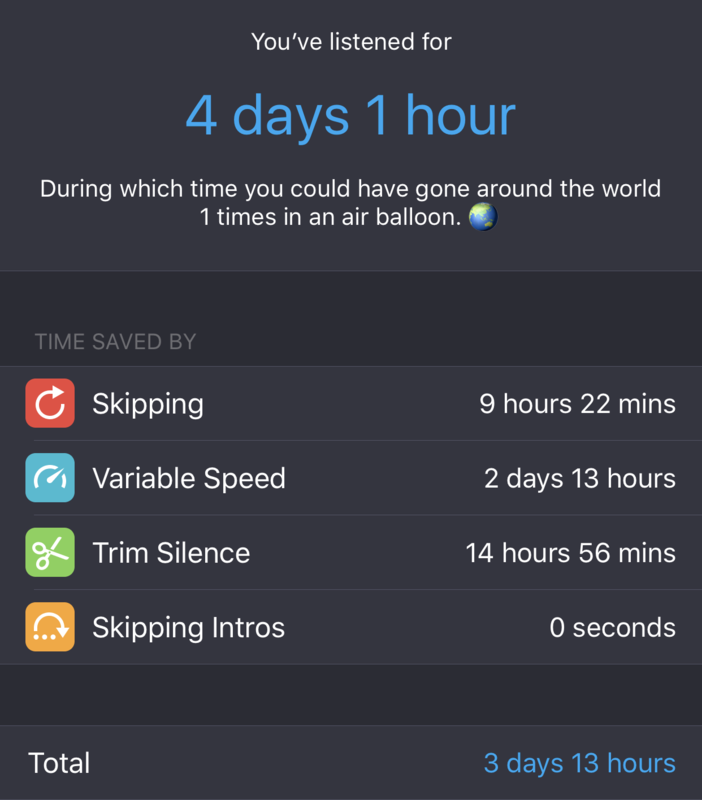 According to Pocket Casts, which eventually implemented a similar thing, I've saved over two days of my life by listening to people talk at a faster, but still perfectly understandable, speed. Nice. I've created roughly half a dozen memory videos this year, ranging from a happy look back at visiting my brother in college to a borderline sarcastic summary of my last 6 months. I never expected anything in iOS 10 to crack me up on multiple occasions, but this did, and it's created really neat videos that I never would've taken the time to create otherwise. This feature isn't unique - Facebook, Google, and others have similar auto-slideshow features - but something about Apple's implementation just seems to work more often than not. Many of the devices I use daily changed last year after graduating from college and entering graduate school, so I don't anticipate this list will change much next year. My home base since December of last year; a 4.0GHz quad-core i7 with an AMD Radeon M395X graphics card powering a 5120x2880 "Retina" P3 display in front of me, a 2560x1440 Nixeus display to my right (the same panel as the old non-Retina iMac), and a 1920x1080 Samsung display to my left. It has 24GB of memory at the moment (I added two of my own 8GB sticks to the 8GB it came with) but it's expandable to 64GB. This was a huge upgrade from the dual-core mid-2011 Mac mini that I used throughout college. Eventually the mini couldn't handle my Siracusean usage of multiple desktops and many dozens of browser windows, so everything was constantly slow. The 5K iMac doesn't have that problem, and with quadruple the amount of possible RAM I can keep as many browser tabs open as I darn well please. 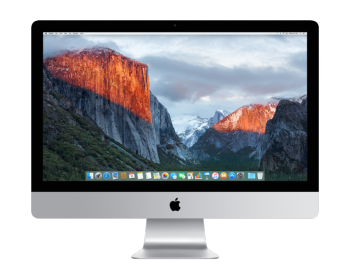 Deciding on the iMac took some self-convincing, and I'll admit that choosing one feels even less comfortable in today's uncertain Mac climate. In addition to being a significant $2k+ investment, I've never been a fan of the all-in-one form factor which, in the iMac's case, necessitates dumping a perfectly-good display once the computer's internals become too old. However, at the time this iMac was released, there was simply nothing else like it. Only Dell's 5K monitor could compete on pixel count, but it cost $2,200 (and still costs $1,600) on its own. Apple also seemed to have fixed the various first-gen issues of the original 5K iMac, and the new P3 display put the iMac even further ahead of Dell's alternative. The Skylake processor it uses had just been released, and reviewers perceived it to be an overall (non-VR) beast of a machine. Despite my (continued) apathy toward all-in-ones, the iMac 5K stood out in a seemingly stagnant desktop market that wouldn't become interesting again until Microsoft's (under-powered) Surface Studio came along a full year later. In that landscape, the iMac turned out to be a safer and more price-conscious bet that seemed likely to last me far longer than the same money put into a MacBook Pro would. I knew that the next iMac would likely come out in 2017 (based on Intel's schedule) with USB-C ports, a graphics bump, and 5K-monitor-enabling Thunderbolt 3, but being able to power two 4K monitors at 60Hz is close (and expensive) enough, and the other additions weren't worth limping along another year and a half for. I do wish the iMac, and Macs in general, supported external graphics cards to make VR gaming at least a possibility, but other than that I'm very pleased. For the first time ever, the speed of my computer no longer limits how quickly I can get work done, and that should continue to be true for many years. Although I was able to make it through college without a laptop, the demands of grad school and a summer job eventually pushed me to get something I could use for presentations and mobile web development. I wanted something lightweight and portable rather than powerful, since my desktop would continue to be the place I'd get most of my work done. That led me (at the time) to choose between either the 13" MacBook Air or Surface 3. The Surface 3 was cheaper ($630 total) and more interesting, so I went with that. 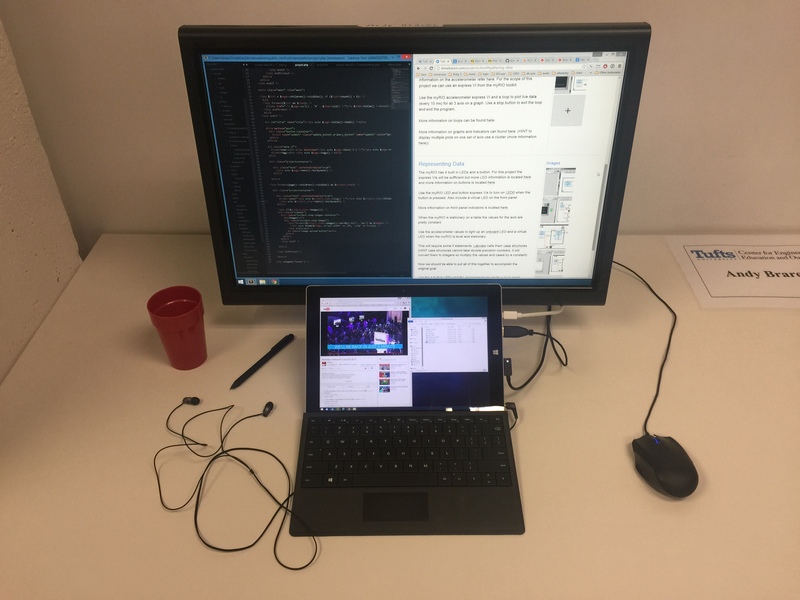 My old Surface 3 in "work mode"
The Surface 3 was surprisingly capable as a web development work PC during the summer, but its speed, battery, and screen size eventually bugged me enough that I exchanged it for a Surface Pro 4 in December. The Pro 4 was incredibly frustrating for most of the year, but in recent months the issues I experienced have been mostly fixed, and I've made full use of its adaptability for UI design, note-taking, web development, usability testing, and presentations/demos. I never ended up publishing a review of the Pro 4, but the gist would've been a solid "don't buy", and not just because the Pro 5 is around the corner. My high tolerance for tech and willingness to wait for Microsoft to pull through is the only reason I didn't return it after the first month of fumbling. 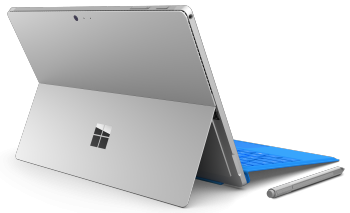 Intel's Skylake goof and Microsoft's wonky firmware made it undependable as a work machine for many, many months, and nobody should've had to deal with their bugs and mistakes. Here's hoping that the Pro 5's 2017 launch will be smoother and at least match the 12.9" iPad Pro's larger screen, reliability, and vastly more responsive Pencil. Coming from the 6 Plus, the raw performance of the 7 Plus is what I appreciate the most by far. 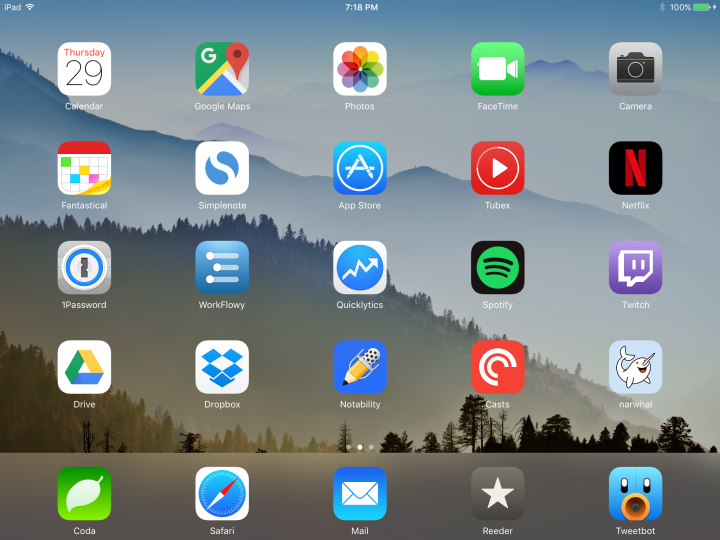 The extra RAM and significantly better CPU makes web browsing and jumping between apps smoother than ever, and at this point it feels like iOS 10's animations are the only things that feel slow; not the hardware. The low-light camera performance, slightly better battery life, stereo speakers, water resistance, more reliable home button, and 2X camera are all nice additions, but the sheer speed is the nicest thing about it. I chose Jet Black partly because it's the canonical color of this generation, partly because it looks more interesting, and partly because it's the more museum-worthy of the two black variants. Micro-abrasions haven't been much of an issue for me, probably because I keep it in the (vastly improved) Apple leather case most of the time. I do have a couple of slight abrasions near the Lightning port, but they really don't phase me. The only thing I dislike about the hardware is its size. I can still (barely) reach everything one-handed, but the rumored edge-to-edge display of the next iPhone would likely make a big difference (and look great). 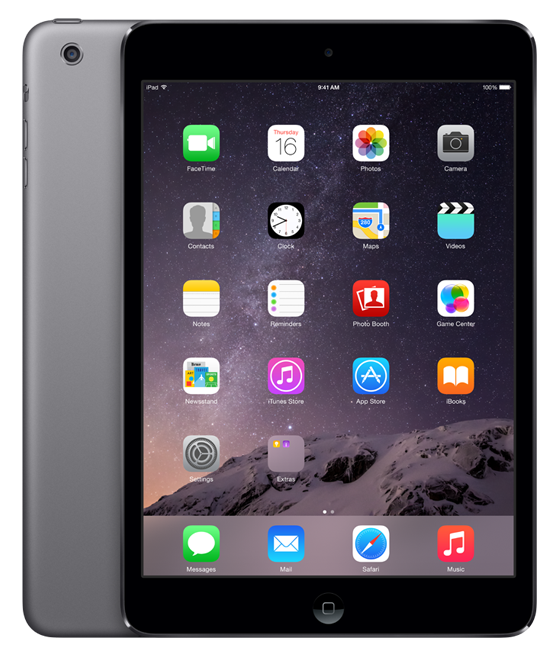 After five years of service, I retired the iPad 2 I used to take notes throughout college and replaced it with an iPad mini 2 for $220 during last year's Black Friday. 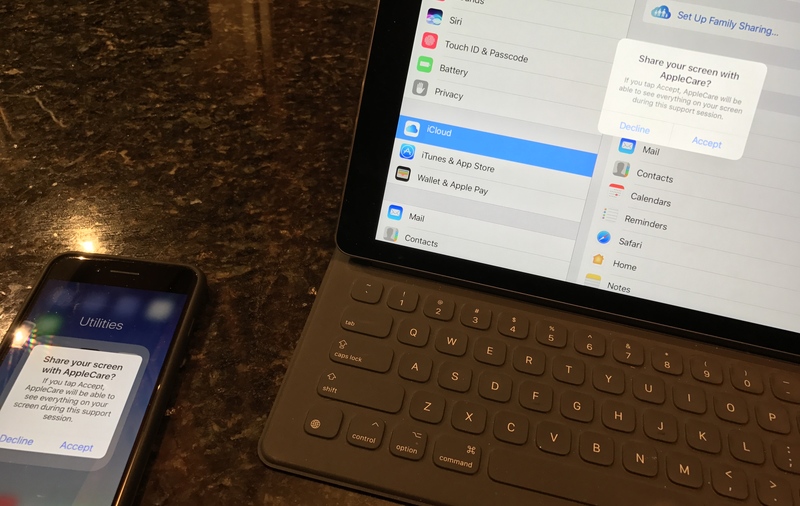 The iPad 2 had become so slow running iOS 9 that even typing on the keyboard was laggy, but the iPad mini 2 can handle mostly everything just fine. I primarily use it for Notability, watching videos around the house, reading my RSS feeds, and some gaming. The new keyboard with the smaller key travel came with my iMac, and I've mostly gotten used to it after a month of use. Coming from the older Apple Wireless Keyboard I was inclined to hit the keys harder than I needed to, but I got used to it after a few weeks. Not needing to manage Eneloop rechargeable batteries anymore is very nice, although it occasionally drains through a full battery faster than it should. I imagine a firmware update will address that issue eventually, but it's rare enough to not be a big deal. Still works great, even after fixing a switch two years ago. It's usually connected to my iMac, but I can bring it with me and use it with my Surface via Bluetooth if needed. The Razer Synapse driver management app for macOS and Windows is a bit overbearing, but it works well enough, and I have the two thumb buttons mapped to move left and right between Spaces in macOS and desktops on Windows 10. I've thought about getting a Logitech MX Anywhere 2 which is similar in size, but some owners have reported dying mouse switches and inconsistent performance. I'll probably wait until a better contender comes along. I've wanted wireless, or rather, cordless, earbuds for many years, so when the well-reviewed X2's went on sale during last year's Black Friday I bought a pair. They're not perfect - they're a little bulky in the ear, making them unsuitable for listening while laying down or resting against a wall - but there are plenty of experiential upsides to going (mostly) wireless. Walking, running, exercising, or even just cleaning around the house is so much nicer when you don't have a cord stretching between your pocket and your ears. The X2's were $80 this past Black Friday, although I'd probably recommend researching the newer Freedoms if you're okay with having a cord between the buds. If not, Apple's AirPods seem like the ones to get. 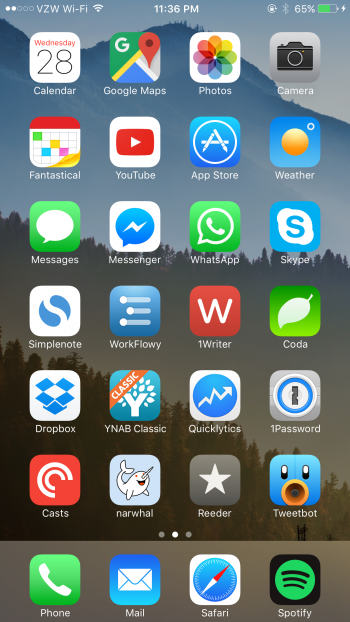 Many of the apps and services I use are multi-platform, so I've grouped them by where I use them the most often. This list is enormous this year, but will probably only include changes or notable updates in the future. Reeder (connected to Feedly) for RSS feeds. Definitely my most-used app since I got an iPhone 4 back in 2010. If you haven't discovered the magic of RSS yet, try following your favorite sites with Feedly. Totally changed the way I read. No ads, and no extra junk. I wish it didn't need to use Favstar to display who likes a tweet, but that's a Twitter API limitation. Otherwise it's flawless for reading tweets in chronological order. Fantastical 2 for my calendar. The list view in Apple's calendar app is decent, but the natural language processing and better month/list UI of Fantastical makes it nicer overall. Not the greatest app icon, but it works better than other apps I've tried with its super smooth edge gesture support and easy-to-collapse comments. Eduardo Scoz's implementation is more straightforward than Google's Analytics app and makes switching between sites much faster. It isn't updated very frequently, however, so I may switch to Google's app eventually. I've heard that Apple Maps has gotten better (and now includes Boston transit info), but I'm accustomed to Google's traffic data and particularly enjoy the ability to zoom in and out with one hand while walking around. WhatsApp, Messenger, Hangouts, Messages and Skype for messaging. My entire family uses Whatsapp, Messenger is the de facto app for college friends, Hangouts is useful for SMS'ing people I don't know very well, Messages is what many other people use, and Skype is occasionally useful for group video calling (which FaceTime still doesn't have for some reason). I wish I didn't need so many, but oh well. This app is the reason I passed some of my college courses. The ability to quickly hear exactly what your professor was saying when you wrote a note or drew a sketch is simply game-changing. OneNote has a similar (but less cohesive) implementation on the desktop, but their iOS and Modern apps don't support it yet. Definitely the killer app of the iPad, and the sole reason why I carried around an iPad 2 throughout college. I've waffled between Pocket Casts and Marco Arment's Overcast quite a bit, but ultimately the quicker RSS-esque workflow I've managed to get working in Pocket Casts is why I'm using it for now. I've been eyeing Castro for its organization scheme, but the lack of Smart Speed, Voice Boost, and chapter markers are deal breakers. If you need your podcasts synced between multiple devices Overcast is probably the best option, since I've had nothing but trouble trying to get Pocket Casts to sync correctly. A useful one-button way to record stuff and send the recording up to Dropbox for easy access. I used Check the Weather until it was discontinued, and now I'm using Perfect Weather mostly for its live NOAA radar map. It has some weird UI quirks on my 7 Plus and doesn't seem to be updated very frequently, so I'm open to alternatives. I'm also trying out Weather Line, but the lack of a radar view makes me reluctant to use as my primary weather app. 1Blocker for blocking ads, social junk, and trackers in Safari. It was the fastest blocker at launch, and is pretty tweakable. Tubex for watching YouTube videos at 2x speed. There are a lot of things I don't like about it, but at least it allows me to watch videos at 1.5x or 2x instead of the 1x the official YouTube app forces on me. Speedeo is a somewhat kludgy way of doing the same for Vimeo. Coda for tweaking code on the go. A super capable "Pro" app that's even better on the iPad, but I typically only use it to tweak website text or make small, time-sensitive changes. Despite being a little over a year old it still has some annoyingly persistent bugs, like the way it hangs for a few seconds when loading up a document for the first time. Appshopper for App Store price notifications. The app itself is pretty bad and not 64-bit, but the notifications it provides whenever an app you want goes on sale is very useful. Eventually I'll need to find an alternative. Apple's default apps for email (Mail), web browsing (Safari), and photos (Camera). There's a lot of love for Outlook and Spark recently, but I'm not a fan. Chrome is decent, but I prefer the more traditional way Safari works, despite using Chrome on my Mac. I also tried experimenting with camera apps when I got my 7 Plus to see if shooting in RAW was worth it, but for the casual photography I do the default app seems to be just fine (and always accessible from the lock screen). I Can't Wake Up! to wake me up. I've been using this for years. Whenever I absolutely need to get up early, this is my nuclear option; a super annoying Brazilian vuvuzela festival MP3 that can only be stopped by staying awake long enough to complete a bunch of puzzles, and then a dead man's switch that triggers if I fall asleep again within a few minutes. Works every time. Dropbox for file storage & syncing between devices. I also use OneDrive and Google Drive, but they're still not as reliable or fast as Dropbox. I have about 15GB of free storage after years of referral links and old DropQuests. Google Drive / G Suite for collaborating on documents. It started to become popular on college campuses around the time I entered college in 2011, and it's invaluable. Totally changes the way students work on group projects and (still) blows Microsoft's suite out of the water, except when it comes to fancier formatting. It's an infinitely-deep bulleted list that you can zoom in and out of, which makes it the perfect tool for a lot of things related to writing, planning, task-managing, note-taking, etc. I use it to organize a shared to-do list of fixes for my Dad's site, and to plan out my research and long pieces of writing. If you find yourself frequently organizing things in list form, you should take a look. I typically use Pinboard for things I've already read but may want to find again. Its tagging system is more capable than Instapaper's and I can also add short notes to links I save so that I can remember what was so great about them. I also have a workflow that allows me to quickly create blog post drafts using the note feature and a "Thinkerbit" tag. Whenisgood for figuring out meeting times. Doodle may be way more popular and better-looking, but clicking checkboxes for every hour you're available gets really annoying if you're scheduling across multiple days. Whenisgood is a bit weird and has some quirks the event organizer needs to be careful of, but it works well once it's set up. Users just click and drag over their availability, write their name, hit save, and every respondent can see everyone else's availability in one nice table, with the best times for everyone highlighted in green. OneNote (Modern) for sketching UI design ideas. The full-blown 2016 version of OneNote is more capable, but I prefer the speed and touch optimization of the (free) Modern version for Windows 10. I've looked into other drawing apps for Windows like Bamboo and Mischief, but OneNote's availability on Mac and iOS makes it more convenient. If OneNote Modern included smoothly-matched audio recordings like Notability for iOS does, it'd be the best note-taking tool. 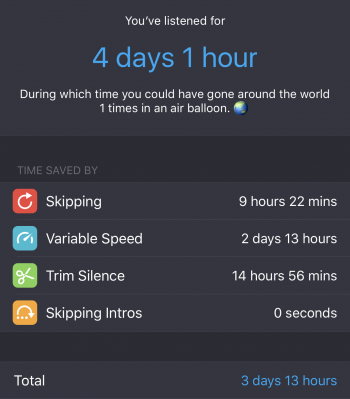 The only app I've found that makes adding a video to your "Watch Later" playlist quick and easy. It works well enough otherwise, although all unofficial YouTube apps on Windows have some quirks. Nextgen Reader for RSS feeds. There's no comparable alternative on Windows, and it works well enough despite some weird sync bugs. TeamViewer Touch to remotely control my iMac in a pinch. Drawboard PDF to mark up PDFs with a stylus. Feels much more natural than doing so on a desktop. I used to use FileZilla to upload and download files from my web server, but the inability to turn off confirmation messages for every action eventually drove me to WinSCP instead. The UI is slightly less friendly out of the box, but it works well. Sublime Text 3 (Portable) for editing code. Pretty straightforward, and nicer than Windows' Notepad. Because Sublime is available as a portable app, I can keep the entire thing in Dropbox and all of my customizations and settings are synchronized. Someday I'd like to figure out sync between Windows and Mac, if possible. I keep my Surface Pro 4 positioned below my iMac screen while I work, and occasionally watch streams as if it were a TV. I prefer the UI of Unstream over 8Stream and others. Windirstat (Portable) for visualizing my storage space. I use it infrequently, but other than collapsing comments it works like narwhal. Desktop email clients may be waning in popularity, but for juggling and organizing email between my Pobox, Tufts, Gmail, and Outlook addresses, Mail does a pretty great job. It's still many times better than the Outlook desktop client for my needs (Outlook still doesn't have a Unified Inbox feature), and although its integration with Gmail isn't perfect, I'm still happy and productive with it. I could use something like Spark, but I'm reluctant to give a third party the credentials for all of my email services. Google Chrome for web browsing. I find its development tools to be better, and more actively updated, than Safari's. I also use uBlock Origin, Facebook Disconnect, and AlienTube to replace YouTube comments with relevant reddit threads. I started using Spotify shortly after it launched in the US back in 2011, and haven't looked back at iTunes since. My brother and I use it to share songs with each other, and it's useful for group playlist planning as well. I use Premium to store songs offline for road trips, and for casting to other devices. It has some quirks, but it's worth it for $5/mo as a student, or free if you can deal with the repetitive ads. f.lux to save my eyes at night. A must-have if you use a Mac or PC at night. It reduces the amount of blue light your screen emits at night, reducing eye strain and supposedly making it easier to sleep. 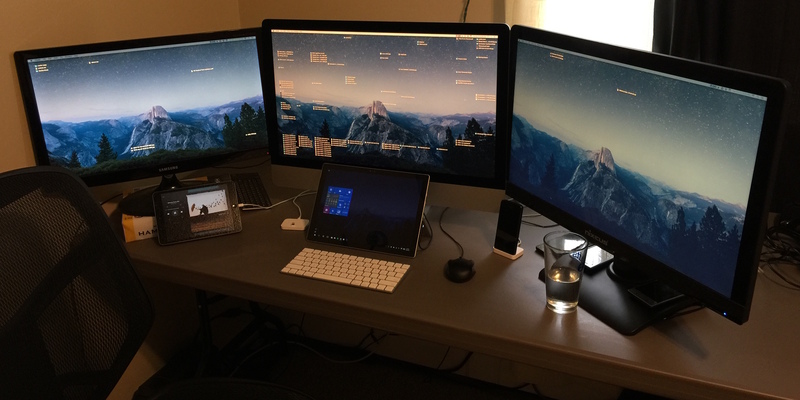 It's basically iOS' Night Shift for desktops. I've yet to find a better all-in-one web development environment. It combines an SFTP, SSH and text editing client into one window, and it's great for the work that I do. I used to use LastPass, but I was never keen on its poor (at the time) visual design and dependence on their own servers. I also use it for all of my two-factor authentication codes. SmoothMouse to remove macOS's mouse acceleration. Certain games like Starcraft are nearly unplayable with the acceleration that macOS forces on mouse movements. 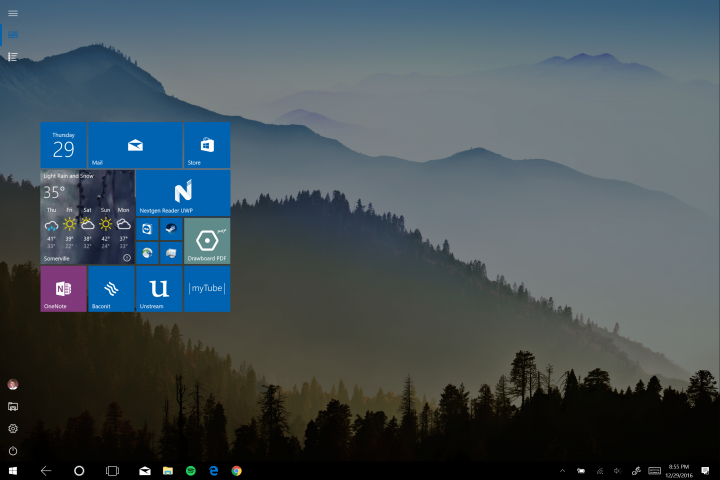 This app lets you make your mouse feel exactly like it does on Windows, and lets you keep the default acceleration on trackpads where it's a necessity. Bartender 2 for condensing the menu bar. Works perfectly, and was one of the first things I googled for when I got my first Mac. It's pretty much the dropdown arrow menu in Windows' taskbar. Sketch for UI design and vector graphics. Googling for help with Sketch is extremely frustrating because of its name, but it's a great tool for vector editing similar to Adobe's Illustrator. I used it extensively throughout school, and still do for prototyping digital interfaces or putting posters/graphics/logos together. Figma's realtime collaborative editing has definitely caught my eye, however. $30 for all but the most advanced functionality of Photoshop. It's a steal, and it's way more approachable for beginners. HandBrake and HandBrakeBatch for video conversion. The world of video conversion is extremely messy - particularly if you're trying to losslessly convert between containers. When I inevitably give up and decide that I just want a video file that seamlessly plays on all of my devices, I turn to HandBrake. Frustratingly, HandBrake doesn't preserve creation data metadata (unless something has changed in 1.0) so whenever that's important I use HandBrakeBatch instead. Disk Inventory X for analyzing storage space. Hazel for keeping files tidy. I use it to automatically unzip things that I download, auto-move folders around so that I can publish posts from my phone, and do some folder and filename cleanup. OpenEmu & Dolphin for game emulation. Performance may vary, and getting controllers to work perfectly can be a trick. The Mayflash Wii U Pro Controller adapter works perfectly for Dolphin, and somehow OpenEmu can connect to one without any additional hardware. Revisions for reverting Dropbox file changes. I don't use this super often, but reverting changes in just a few clicks from any time in the past is handier and more capable than Dropbox's online interface. I can't control the brightness of my other two monitors, so a utility like this is very handy at night. 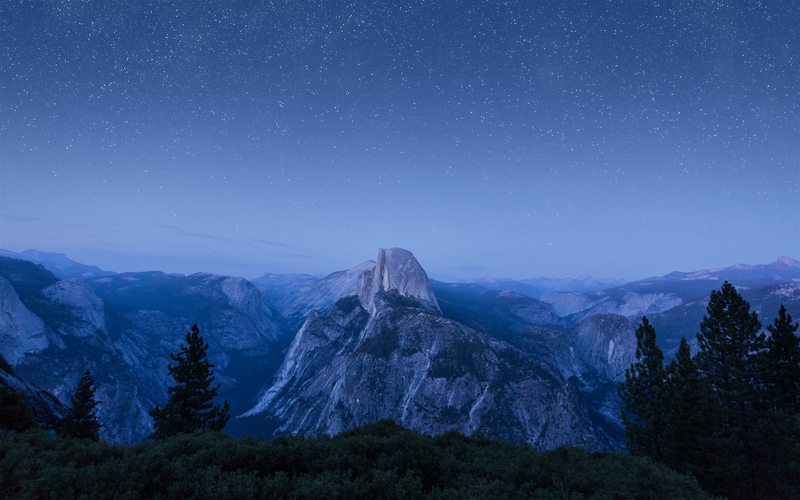 Unlike most screen dimming apps for Mac, this one gives you per-monitor control. It still has the shared problem of making screenshots extra dim, unfortunately. HazeOver looks like a potential alternative. 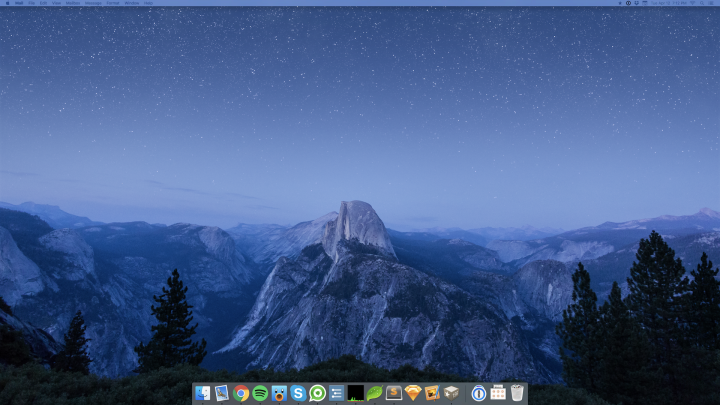 VMware Fusion for Windows emulation. VMware might be abandoning the product (they say otherwise) but it's worked great for me the past few years - particularly on the iMac, where it runs without making my fan spin up at all. I'll likely switch to Parallels in the future unless it becomes clearer that it's still being actively developed. You Need A Budget 4 (Classic) to keep track of my finances. YNAB 4's mobile app is a convenient way of tracking cash purchases while I'm out and about, and I use the desktop app to reconcile my bank and credit card accounts every once in a while. I'm not quite convinced by their newer web-based offering, so I'm using the classic app for now. SketchParty (iOS) for sit-down party fun. Pretty much Pictionary, but with an iPad and Apple TV. The drawer sees the word on their iPad, while everyone else sees what they're drawing (poorly) on the TV. My family really enjoyed playing this over Christmas, and despite some people initially being nervous because of their lackluster drawing ability, that didn't stop everyone from laughing together. Great game. Heads Up! for portable group fun. One player sticks a phone to their forehead and tries to guess the person, place, or thing it's showing with help from the group. I particularly like the "Act It Out" category, because it doesn't require knowledge of movie names or actors. Well worth $1. Mos Speedrun 2 (on iPhone) for bite-sized platforming. The original Mos Speedrun was the first game I played whose controls felt comparable to an actual D-pad and buttons, and the recent followup game feels even better. This game is proof that traditional Mario platforming could work on iOS, and in many ways Mos' game design and depth makes each level even more fun than a typical Mario stage. Really well done. One of my favorites iOS games. Vainglory (on iPad) for a quick gaming fix. Super Evil Megacorp's flagship MOBA was shown at Apple's WWDC two years ago, and it's actually pretty good. Each match can be either under 10 or between 20-30 minutes depending on the mode, and its matchmaker is pretty decent at grouping you with players of comparable skill. I haven't played it much recently, but did during the summer. Really Bad Chess and Monument Valley are also worth a look. Firewatch for an engrossing getaway. I wrote a brief review here, and wrote a bit more a month later. It's recently been on sale for 40%, which makes it even more worth it. Rocket League for multiplayer soccer truck mayhem. My brother and I play this pretty frequently together. It initially feels totally weird and uncontrollable (in a fun way) but eventually starts to click. It's surprisingly deep too, with a bunch of stages, modes, unlockables, and ranks. My brother and I played a ton of N+ on the Xbox 360 a few years back, and N++ expands on that game in almost every way. There are hundreds of levels included, a lot of great music to zone out to, and a bunch of refinements to enemies and objects that make it the "definitive N experience". The one thing I really, really wish it had is local cooperative multiplayer. RSS is the primary way I keep up with the sites and bloggers I follow. I'm subscribed to around 150 RSS feeds at the moment, but the vast majority of them are infrequently updated. Here are a few of the most important/interesting sites I follow organized by category. I stumble across a lot of news stories from reddit as well. Subreddits like /r/OutOfTheLoop/, /r/technology, and /r/worldnews/ are decent for keeping up with major things that are happening. My day-to-day schedule doesn't have a natural place for podcasts to fall into, but I do infrequently listen to them at 1.5x or 2x speed while cooking, cleaning, or doing mindless tasks. These are the few I listen to and/or find worthwhile depending on the topic of the week. 99% Invisible with Roman Mars. Explores the design and architecture of things we don't often think about. Episodes are typically under 30 minutes, which makes them easy to find time for. Accidental Tech Podcast with Marco Arment, John Siracusa, and Casey Liss. Shorter than The Talk Show, with good coverage of what Apple's developer & geeky community thinks about whatever's in the news lately. This is the tech podcast I listen to most frequently. Shop Talk Show with Dave Rupert and Chris Coyier. Web development-related listener questions answered to the best of Chris and Dave's knowledge. A good, beginner-friendly introduction to topics I haven't yet explored. Under The Radar with David Smith and Marco Arment. Independent app development topics under 30 minutes. Both David and Marco are long-time prominent app developers, so their perspective is interesting to hear. Boagworld show with Paul Boag and Marcus Lillington. Stuff related to web design & development for about an hour each week, sometimes with a guest. They have fun and share stories about their own experiences in the industry, which I find helpful. Stuff You Should Know with Charles (Chuck) Bryant and Josh Clark. Each episode is about 40 minutes long, and I typically listen to about half of whatever topic looks interesting. They organize and present their research effectively and in a fun way. A business and economy-oriented podcast that's well-edited and well-explained. Their stated goal is to make learning about this kind of boring stuff fun, and they do that well. The Talk Show with John Gruber. John's pretty consistently right about what Apple's thoughts are on certain things, so I occasionally listen if there's an interesting rumor or bit of news being discussed. YouTube and Twitch are my television. I'm subscribed to 157 channels and watch a few videos each day, and watch Twitch occasionally in the afternoon when nothing else is available to zone out to. Below are some of the channels/streams I watch the most consistently. Every Frame a Painting by Tony Zhou. Really well-edited and well-considered videos on film technique and little details. Kurzgesaggt - In a Nutshell. Great animations describing cool topics. Consistently well-made videos about a variety of topics. The time and effort is apparent. Cool stuff melting, burning, or being cut in half in macro. MKBHD by Marques Brownlee and Dave 2D by Dave Lee. Both have great video editing and composition skills. 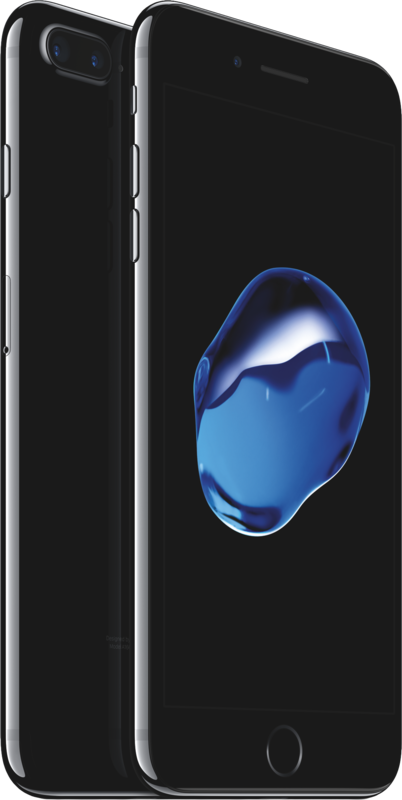 Marques covers the latest smartphones, and Dave covers laptops, for the most part. A tech channel that reviews laptops, tablets and smartphones and doesn't neglect to mention tech specs and little details that I care about. Lisa Gade does her research and covers everything thoroughly, which I really like. Smarter Every Day by Destin Sandlin. Sciency-y topics, a love for learning, and enjoyable exploration. No Small Parts by Brandon Hardesty. Well-presented research into the histories and performances of well-known and not-so-well-known actors in film and TV. Occasionally difficult to follow, but an oftentimes insightful and thought-provoking channel that's entertaining to watch (or zone out to). Captain Disillusion by Alan Melikdjanian. Debunking and VFX-related videos that are very well-made and rehearsed. His videos have a 90's-ish kid show style, but they're not really oriented toward kids. His silver skin costume is sort of weird and (unfortunately) off-putting, but his videos are entertaining and worth watching. Very well-done videos of how various things work. New videos are infrequent, but there's a sizable archive. Likable people playing, making fun of, and getting very grumpy at video games new and old. Plenty of really dumb but self-aware humor, with very entertaining and occasionally deeper moments. A lot of Nintendo-oriented videos, discussion, and in-depth analysis. Luigi's Mansion, Super Mario Sunshine, Super Monkey Ball and Pokemon Snap speedruns with one of the most friendly and personable Twitch streamers I've watched. His chat community is also great, and he enjoys interacting and having fun with his viewers. Primarily Super Mario Sunshine runs. Also friendly and enjoyable to watch, and one of the fastest speedrunners of the game. /r/youtubehaiku, /r/contagiouslaughter, and /r/videos are also particularly good at finding dumb, funny, and/or nonsensical videos. According to my brother, if a song has unintelligible lyrics and generally sounds like it's on drugs then I'll probably like it. Other than that I'd say my musical palette is a mix of 70-80's rock, 90's nostalgia, and a bunch of upbeat and catchy stuff that I can dance (on the inside) to. Below are some of the songs I listened to and enjoyed the most this year. Note: This year's playlist is much larger than future ones will likely be. It's a combination of my top songs according to Spotify and some long-standing playlists I created for certain occasions. 10,000 Emerald Pools by BORNS. Cut to Black (Instrumental) by Lemaitre. The vocal version is okay too, but I prefer the standalone beat. You Know Me by Air Traffic Controller. Further On by Bronze Radio Return. September by Earth, Wind & Fire. Discovered in kaptainkristian's Calvin & Hobbes video. (Sittin' On) The Dock of the Bay by Otis Redding. The song used in the Project Glass announcement video. Walk With Me by Cosmo's Midnight, KUCKA. Lake Michigan by Rogue Wave. Firestone by Kygo, Conrad Sewell. All Of The People by Panama Wedding. All The Time by Bahamas. Plenty more from Pogo on YouTube (unfortunately not on Spotify). That's Life by Frank Sinatra. Taking Over by Joe Goddard. Rescue Song (RAC Remix) by Mr Little Jeans. Cheap Sunglasses by RAC, Matthew Koma. Stole the Show by Kygo, Parson James. Everybody Knows by John Legend. Don't Gotta Work It Out by Fitz and The Tantrums. Call On Me by Eric Prydz. Ever since I saw this dumb Stormtrooper video somewhere on reddit. Knockin' On Heaven's Door by Bob Dylan. Paint a Smile On Me by Black Yaya. King and Cross by Asgeir. Shooting Stars by Bag Raiders. Rouse Yourself by JC Brooks & The Uptown Sound. Until We Get There by Lucius. Let It Happen by Tame Impala. Shine (Kygo Remix) by Benjamin Francis Leftwich. Groovin' by The Young Rascals. Avril 14th by Aphex Twin. Canon In D by Johann Pachelbel, Edward Brewer, Orpheus Chamber Orchestra. Tell Me Where You've Been by Hotel Eden. Wait for the Moment by Vulfpeck. New Slang by The Shins. Saturday In The Park by Chicago. I Would Do Anything for You by Foster The People. Take It Easy by Eagles. Moneygrabber by Fitz and the Tantrums. A Horse with No Name by America. Have You Ever Seen the Rain by Creedence Clearwater Festival. Your Song by Elton John. Sweet Pea by Amos Lee. Waves - Robin Schulz by Radio Edit. Follow Me by Uncle Kracker. Ain't No Reason by Brett Dennan. You Are the Best Thing by Ray LaMontagne. You Go Down Smooth by Lake Street Dive. Home Again by Michael Kiwanuka. Send Me On My Way by Rusted Root. There are how many Ice Age movies? Talk is Cheap by Chet Faker. Booty Swing, Catgroove and Libella Swing by Parov Stelar. Lido Shuffle by Boz Scaggs. My Type by Saint Motel. Forever Young by Bob Dylan. Stolen Dance by Milky Chance. One of the first songs played during Beats 1's launch. There Can Be Only One by Cass McCombs. Happy by Marina and the Diamonds. Put Your Records On by Corinne Bailey Rae. Hold Back The River by James Bay. Flashed Junk Mind by Milky Chance. Simple As This by Jake Bugg. Rather Be by Clean Bandit, Jess Glynne. Around the Bend by The Asteroid Galaxy Tour. From an iPod Touch ad. All Eyes on You by St. Lucia. From a Windows 8 ad. There She Goes by The La's. The version by Sixpence None The Richer is also good. Something In The Water by Brooke Fraser. (What A) Wonderful World by Sam Cooke. Stand By Me by Ben E. King. What A Fool Believes by The Doobie Brothers. Don't Stop by Fleetwood Mac. Home (RAC Mix) by Edward Sharpe. Wake Me Up by Avicii. A Sky Full of Stars by Coldplay. Dancing in the Moonlight by Toploader. Ain't That A Kick In The Head (RJD2 Remix) by Dean Martin. Show Me Love by Hundred Waters. Used in Coca-Cola's 2015 Super Bowl ad. Me Liquor and God by Night Beds. Dangerous by Big Data, Joywave. Classic by The Knocks, POWERS. Wraith Pinned to the Mist by Of Montreal. Your Soul by Hippie Sabotage. Hooked on a Feeling by Blue Swede. Used prominently in Guardians of the Galaxy. Come And Get Your Love by Redbone. I Wanna Go by Summer Heart. From a Microsoft video that I'm having trouble finding. Say My Name by ODESZA, Zyra. Used in Windows 10's Hero video. Run Away by Said the Sky, Car. Used in Windows 10's 'Making of the Hero' video. Steal My Sunshine by Len. Thunder Clatter by Wild Cub. Rill Rill by Sleigh Bells. From Apple's iPhone 5c ad. I Want You Back by The Jackson 5. Junk of the Heart (Happy) by The Kooks. Let Go by RAC, Kele, MNDR. From Apple's iPod Nano ad. For What It's Worth by Buffalo Springfield. If I ever feel better by Phoenix. Bitter Sweet Symphony by The Verve. Cruel To Be Kind by Nick Lowe. Hey Mama by Mat Kearney. From another iPod Nano ad. Prayer in C by Lilly Wood and The Prick, Robin Schulz. Viva La Vida by Coldplay. Dog Days Are Over by Florence + The Machine. Hollywood by RAC, Penguin Prison. I like everything about this; the sign, the approach that was taken, and even the blog post itself. Nicely done. Brad's point about defying gravity and then being unable to convey danger later on seems particularly applicable to the current glut of superhero movies, as Jason Kottke notes. Even more excellent work by Pablo Stanley on another topic that hits home. Great comic and thoughts. On the one hand this is cool. Applying this to YouTube could create captions that are far more accurate and helpful to the deaf. It could also be combined with speech-to-text systems to make typing with your voice/lips far better. On the other hand this is yet another scary thing to add to the pile. It's pretty clear that Google's AI is the one that Elon Musk is worried about (with good reason). This interview isn't groundbreaking or very long, but it's interesting to see Ford prioritizing the design and user experience of autonomous cars. What is the biggest challenge for contemporary car design? The big challenge is the user interface, in terms of how much technology we’re putting into the car and that we’re mandated to put into cars. How does [technology] interact with the customer in a seamless and comfortable way? It’s the biggest challenge in the car industry at the moment. Good design is all about problem solving, but the problems change. [It’s not just about] creating solutions to problems, but it’s creating attractive solutions. Not just attractive aesthetically, but in the usability sense.